This is how my Tobagonian, Miami-college friend gets her abs after having a baby just over a year ago! 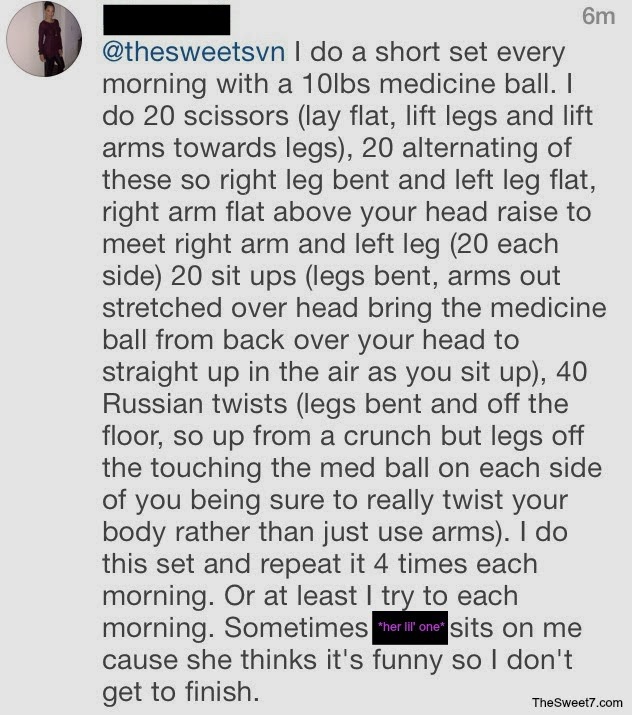 She says "I do a short set every morning with a 10 pound medicine ball. Repeat 4 times each morning." ... And I love how her daughter is playing all over her while she does it! LOL. "My Transformation - Out of The Shadows"